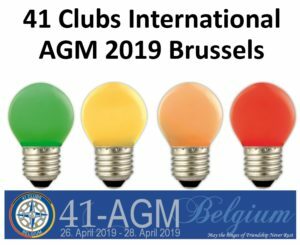 Warrington Round Table No 74 and Warrington Ex-Tablers have always had strong International ties starting with our annual “74 Club” meetings and, going beyond that, to many of us visiting National AGMs, Table & 41 Club Tours, Charter Meetings, HYMs and much more. Each year, Warrington Ex-Tablers have two international events with Hanau Old Tablers, near Frankfurt, Germany and other members of our 74 group — A ‘Beer Tour’ in June for the 41ers, then a joint members/partners meeting in September. 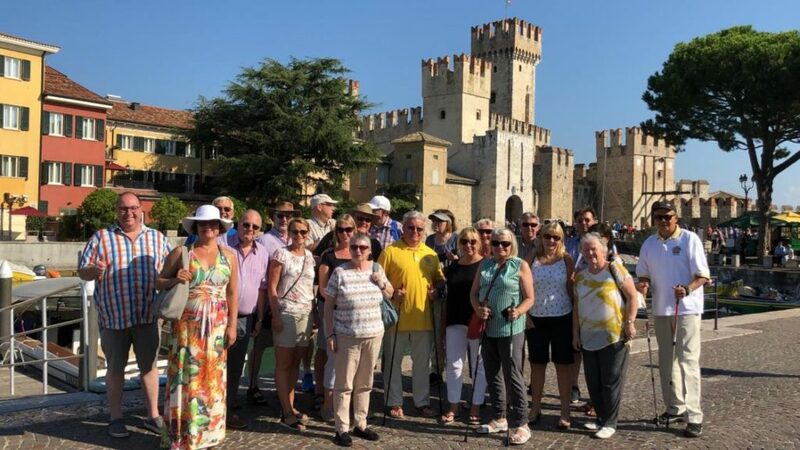 24 of us have just returned from a wonderful tour of Lake Garda and the Verona area of Italy, this year organised by our dear friend from Hanau – Robert Lerch (or ‘OTTO’ as he is known – Old Table Tour Operator!). 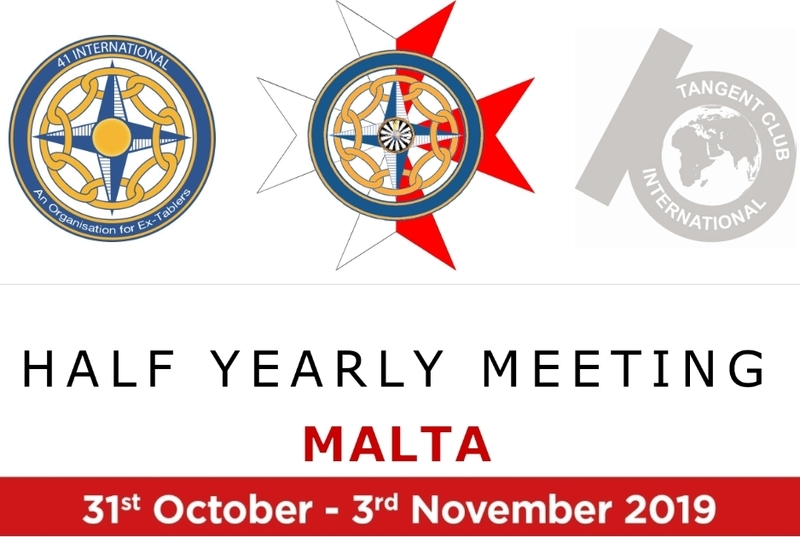 So it’s Warring-ton’s turn to organise next year’s event….. who knows where? 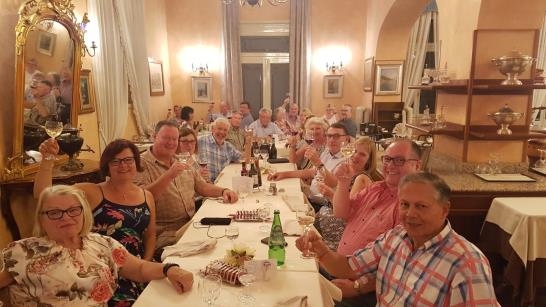 This year was especially good as we managed to meet up with 41ers from Norway, Belgium and of course Italy too, making 5 Nationalities in all. Fantastic! Verona 41 Club hosted us for a wine tasting evening in the cellar of a Lugano based winery of one of their members. Wow, what an evening of fun and fellowship that was! 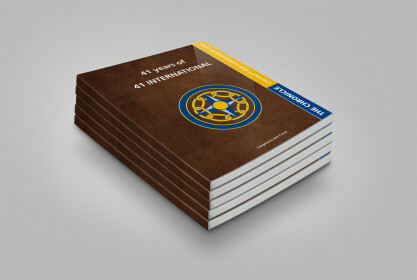 Engelbert Friedsam (ex 41 International President, and one of our 74 group!) managed to make it this year with his wife Monika (hooray – they haven’t made it for a few years, due to one or two other commitments!!!) and he contacted Luca Colombo (the Vice President Elect), who just happens to be in Verona 41 Club! Hey, what a stroke of luck that was!!! It was fantastic meeting up with the very active Verona 41ers and their partners. An evening full of laughs, song and dance, wonderful food and even better wine! The evening finished with us being given a barrel (yes, a barrel!) 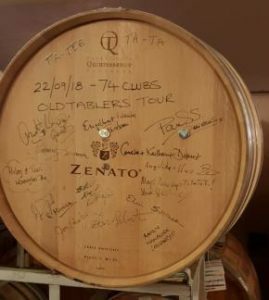 of Amarone wine to share amongst all members, and we signed that barrel to prove it! WOW! However, it didn’t finish there…… the next day we had a visit to Isola del Garda planned and our Verona hosts (and special thanks to Udo and Vincenzo for taking us around the island and for the wonderful lunch afterwards). Vincenzo produced a nice photo memento of the event, plus inviting us back next year for two further events they have planned – based on “Art, Music, Tourism and Friendship”. 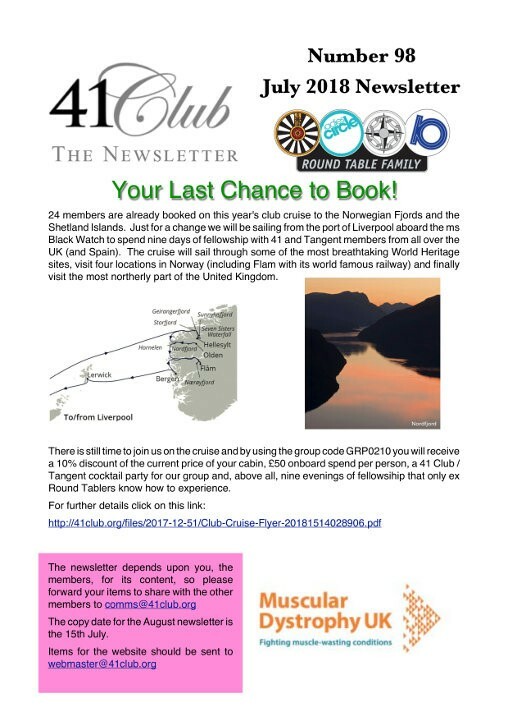 A note to my fellow 41ers — if you haven’t tried interna-tional Tabling or 41 Clubbing yet, please try it. 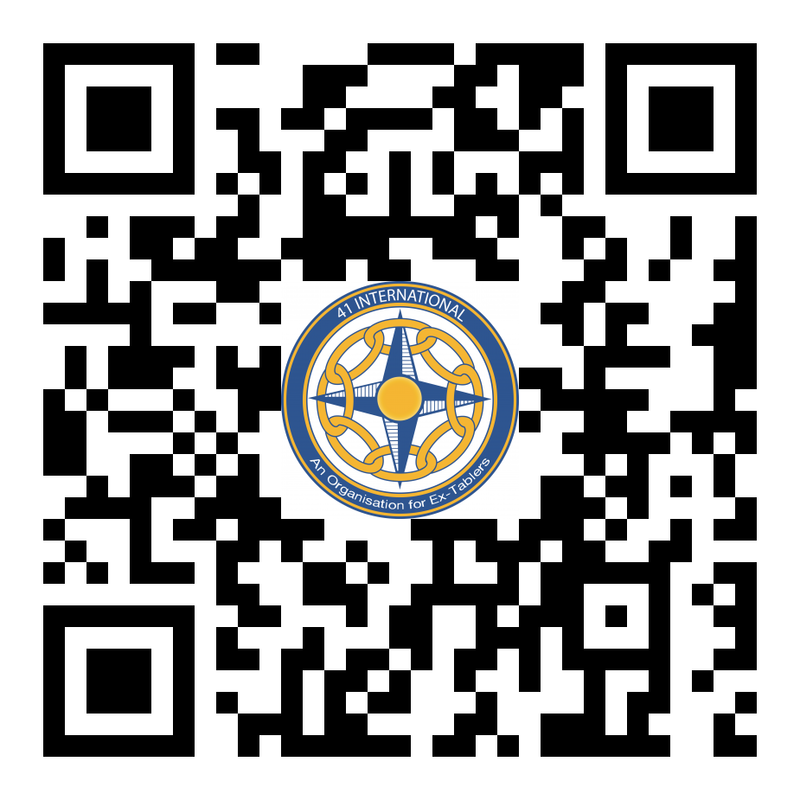 I promise you will enjoy it, and it will give you memories and friend-ships that will last a lifetime. 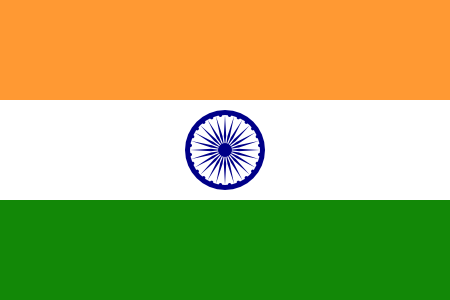 « 41 International events now as Google calendar!